The Stuff of Legend, Volume 4 #3 - Written by Mike Raicht and Brian Smith, illustrated by Charles Paul Wilson III, published by Th3rd World Studios. If you're new to Donist World, then you are well aware of the love I have for this series. If not, then get thee to this link to pick up the first trade of the New York Times Bestselling Graphic Novel, or better yet, this hardcover Omnibus of the first two trades. Still don't want to take my word for it? Okay, the pitch then. "The Stuff of Legend is the darker side of the movie Toy Story. What happens when a boy is abducted into the dark by the Boogeyman, and the boy's toys came to life to venture out and rescue him?" That's the story in a nutshell, but there is so much more. You have a large cast of characters, each of whom have their moments to shine throughout the series, a creative and intriguing world, a viable threat, toy politics, and a quest with stakes. There's actually nothing like this beautifully-done comic book on the stands. You owe it to yourself to take a peek into that dark scary closet and experience this phenomenal series. Jester (Jack in the box) has survived the ordeal of the previous volume, although he is a bit worse the wear. 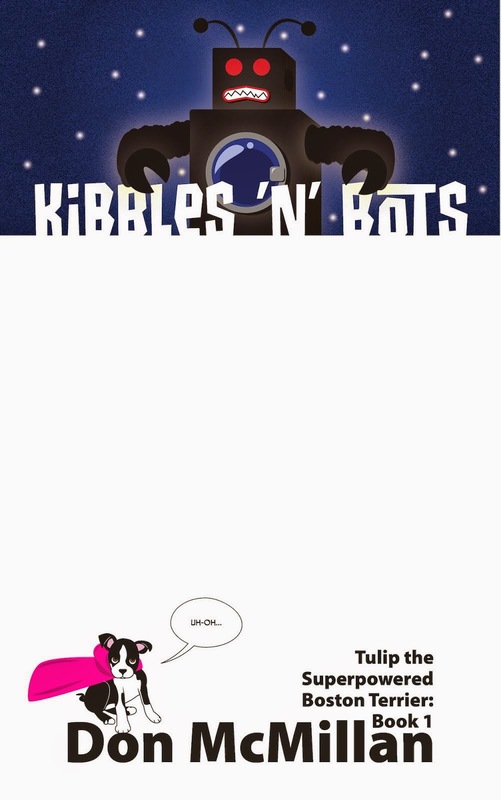 He has Rebecca (doll), leader of the dolls, to thank for taking him to the robotic Toy Maker (robot). Percy the Pig (piggybank) and Filmore (reformed former Mayor of the game Hopscotch) have heated words as the toys' boy and his "friend" stand by. Harmony (music box dancer), Quackers (toy duck) and the animal toys attempt to find their missing friend, Max (teddybear), but only find capture at the Boogeyman's wicked general's hand. Max's group finds trouble at the edge of the Deep Dark Woods in their quest to find a magic whistle that can turn the tide of battle against the forces of the dark. Finally, we see a glimpse of the Boogeyman before he became the monster he is today. 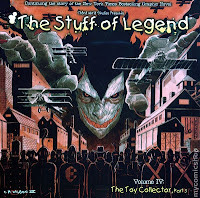 Although this volume is titled "The Toy Collector," we have seen very little of the mysterious toy tasked with gathering all of the broken/dead toys in the land. This is fine as the character looks to feature prominently in the final two chapters of this volume and with everything put in place by Raicht and Smith each issue is jam-packed with story and action. 22-pages fly by much to fast as I sped through each of the various characters' storylines, but this is not a knock against the writing. In fact, despite the many characters and the many stories happening simultaneously, Raicht and Smith hold the book together with their tightly constructed story. Both excitement to see what happens next and fear for the safety of the reader's favorite character(s) keep The Stuff of Legend an addictive page turner issue to issue. Wilson III delivers some truly stunning pages with the brutal battle of the animals against Slugger, being the standout sequence of this issue. The action is fierce, realistic and terrifying as the Boogeyman's general tears through foe after foe with little trouble. Also of note is the Toy Maker's work shop and the design of the dilapidated robot himself, which was fascinating to see but over much too fast. Wilson III's storytelling is just as phenomenal in this issue as it has been throughout the entirety of this series. It would be criminal not to mention the unique and eye-catching colors and design of Jon Conkling and Michael DeVito. I guarantee this book is not like other comics you have seen in the past, with it's non-traditional shape (comic store owners aren't sure how to "bag and board" this one) and the beautiful interiors that give the comic the look of an old, weathered children's book from the 1940s. Their efforts add greatly to the charm of this series. So, yes, you can call me a fan of The Stuff of Legend. You have strong and compelling storytelling, gorgeous art and beautiful production, and there's no doubt it is one of my top five books currently being released. Don't just listen to me, though, get out there and give it a try! I also think it's time I double-dipped and put that lovely Omnibus on the treasure shelf; it should fit quite nicely up there. VERY HIGHLY RECOMMENDED! Batman #17 - Written by Scott Snyder and illustrated by Greg Capullo, published by DC Comics. There are some things you can expect to see in a modern Batman comic book: Batman (duh), colorful villains, the Bat Family, action-filled fights, dark nights, darker moods, a "issue that will change the Batverse forever!" --usually involving a death (Robin meet's crowbar) or an act of terrible cruelty (Batgirl gets paralyzed). Then you put Scott Snyder into the mix and know what you get? All of the above expectations, but just not in the way you expected things to happen...at all. That's the tricky part of writing the Joker, but when it comes down to it, what you can expect from Snyder and Capullo is one heck of a fantastic--if not terrifying--issue of Batman. If you have not been following "Death of the Family," first of all, why not? 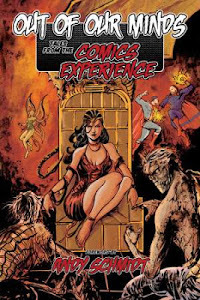 Second, I'm pretty sure you can pick up all of the issues at your LCS or at the least get the digital copies, don't trade wait this one...it's a blast and you will be surprised. After submitting to Joker's will last issue and subjecting himself to an electric chair, Batman awakens to a vision of hell. The Joker has arranged quite the elaborate dinner party. With Batman at the head of the table, he is joined by the entire Bat Family (Robin, Nightwing, Red Robin, Red Hood, and Batgirl), each of whom's head is covered. Unfortunately, Joker has made use of Batman's unconscious state and passed the time whispering insidious sweet nothings into their ears. Alfred also makes an appearance, but he is a changed man. With all the guests in attendance the hoods come off and each Bat Family member finds their faces bandaged and bloodied, and a covered silver platter sitting before them. It's a "what's in the box!" situation made real, as Batman has to choose whether to save his family or stop the Joker once and for all. What ever choice he makes, no one will ever be the same. Disturbing, haunting, exciting, tragic...I could go on, but you get the point. Batman #17 delivers everything promised to the reader while steering clear of copying past storylines and cliche "this is it, folks, in this issue someone dies," type tricks that rarely ever stand the test of time. The conclusion to "Death of the Family" is a finely tuned story that succeeds in meeting all of my hopes and successfully avoids every single one of my fears. Snyder avoids the usual cheap tricks of a Superman save, a "shocking" death of a hero that won't stick, a physical cruelty dished out to a hero to push everyone over the edge. Instead he gave me what I did not expect. Snyder toys with the reader. He tricks you into thinking you know what's going to happen with each page turn, but a quick flip either stalls the moment or leaves you blinking in disbelief with the reveal. At each and every point in this story, I was off balance, on the ropes and finally knocked out. I need to reread this one, because I'm sure there're things I missed. Capullo. Criminy, the art this guy puts out. Page two and three...<brrrrrr, shiver, I want my mommy>. After drawing pages like this, he must have to decompress and draw pictures of cute little kitties or something. Then again, maybe that's when he comes up with the two faced kitten with the light on its head (don't try to understand this comment if you haven't read this issue). Nightmarish horrors aside, this issue is simply gorgeous. I have no idea what's coming next, but after this issue I could sure use a drink and cigarette, and I don't smoke, kids, never even tried. After these 19 ("0" issue and annual included) issues, what Snyder and Capullo can expect from this Donist is that I will be eagerly awaiting issue 18 and how they top "Death of the Family." Great, chill-inducing fun. VERY HIGHLY RECOMMENDED! Hercules: Prince of Power (1984) #1-4 - Everythinged by Bob Layton, published by Marvel Comics. You might remember a few entries back when I talked about Hercules: Prince of Power here. But here's the confusing thing. In 1982, Marvel released H:PoP and I loved the series, and imagine my surprise when I saw H:PoP show up AGAIN in 1984. Nothing indicated this was a followup to the original mini. No "II" or "The Prince of Power Strikes Back," nothing. It was only the image of the skrull that lead me to believe this was a whole new story. At $.60 and the fact that the latest issue of The Micronauts was not out that week, heck why not revisit a character and series I liked so much two years prior? The story picks up well into the future, the year 2385 to be exact, and Hercules and his trusted friend the Recorder are still scouring the universe for adventure and opportunities to right the occasional wrong. In their travels, they meet Skyppi, an old grizzled skrull trying to con his way through life. A new team is formed. But when the immortal god begins to develop a few grey hairs, he knows something has gone wrong back on Earth. As Hercules and gang arrive at Olympus, Hercules discovers that his father, Zeus, has gone mad and slain all other members of the Greek pantheon. Only Hercules, Recorder and Skyppi stand against the most powerful god of them all. Yup, one fun story. Despite what the tone of my summary of the four issues comprising this mini-series indicates, Layton ups the humor aspects of this chapter from the first. Some parts are a bit corny, but the overall story is sound and Layton's art is phenomenal with some amazing action scenes. You can probably find both the '82 and the '84 volumes on the cheap in bargain bins or at www.mycomicshop.com where I picked these up. RECOMMENDED for fans of Hercules, but HIGHLY RECOMMENDED for nostalgia-craving fuddy duddies like me! Amy and My 16 Year Anniversary of Being Together - Yeah, nothing to do with comics, but I am so happy to have spent 16 years of my life with this amazing woman. 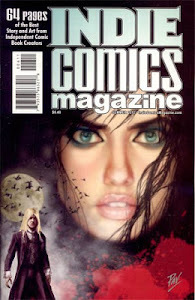 Actually, there is a comic book angle as I was the one who got her reading comics like Sandman, Preacher, Saga, Locke & Key and many others to begin with. Release Schedules - Again, nothing major, but this week I only had two books in my pull. Two. That's it. Yeah, yeah, yeah, I know, boo-boo, each of those books were stunningly great. "So what are you griping about now you never-satified big galoot?" you might ask. Well, sonny-boy/girl, let me learn ya sumthin'. Next week I have at least 11 comics showing up in my pull. Man, thems a lot of books to not just read, but I suspect I will like AT LEAST half of them, which means I'm not sure how I'm going to handle next week's FSoH/SitW post. I know, I know. It's a good problem to have. Ugh...day jobs and that whole working for a living thing. I'll make it work, we can do this.